Dr. Shelly Baseri is an Adjunct Assistant in the Master of Arts in Teaching - English to Speakers of Other Languages (MAT-TESOL) program at the USC Rossier School of Education. She comes with a background in both TESOL and teacher education and has a particular interest in online teacher education. Dr. Baseri's dissertation, The Transfer of Online Instruction to TESOL Candidates’ Perceived Self-Efficacy of Teaching English Language Learners, focuses on MAT-TESOL candidates’ perceived self-efficacy to teach English Language Learners based on their learning in an online setting. The data gathered through her research has been instrumental in influencing her current teaching practices. Prior to joining the USC Rossier faculty in January 2013, Dr. Baseri taught English and English as a Second Language (ESL) classes at various community colleges throughout Los Angeles, including Santa Monica College, LA Valley College and LA Trade Technical College. 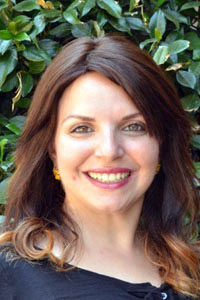 She has also taught courses in UCLA Extension’s Cross-Cultural Language and Academic Development Through California Teachers of English Learners (CLAD through CTEL) program, as well as English language courses in the Intensive English Program at the California State University, Northridge Tseng College for Extended Learning.